It doesn’t matter if you’re planning on getting your first action camera, replacing an older model or just adding to your growing collection of wearable tech, these 5 action cameras are the best on the market today and some of them a pretty good value too. 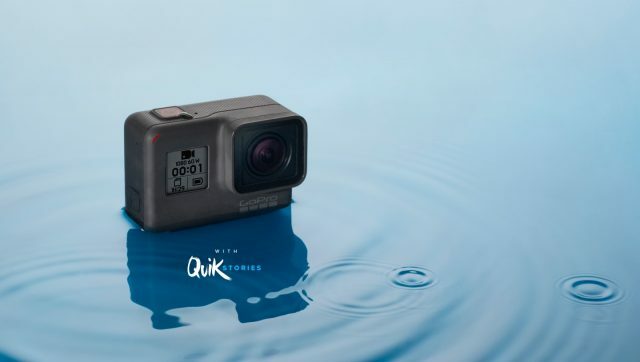 The Explorer K is the latest action camera in the ever-expanding range of Elephant/REXSO cameras, and like all modern cameras, it features 4K video recording as standard. The compact camera is able to shoot 16-megapixel stills too, and with 6 axis image stabilization your shots aren’t going to look like they were taken on a drunken night out. Unlike some of the newer cameras listed here, the Explorer K still relies on the use of a case to keep water at bay, but thankfully that’s included along with a ton of extra accessories for mounting the camera on your person, your bike, or anywhere else you might fancy. 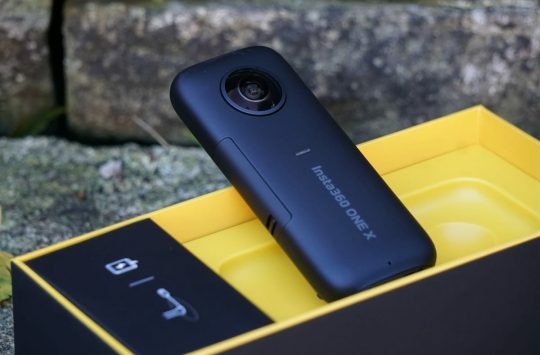 In addition to 4K video and images stabilization the Explorer K also features a Panasonic chipset, WIFI, slow-motion video recording, 1200mAh battery and 2inch colour display all for less than £80! Buy the ELEPHONE Explorer K now. SJCAM has been manufacturing action cameras to rival GoPro for years now, but it’s only recently that we have seen real innovation and a jump in specifications and features. 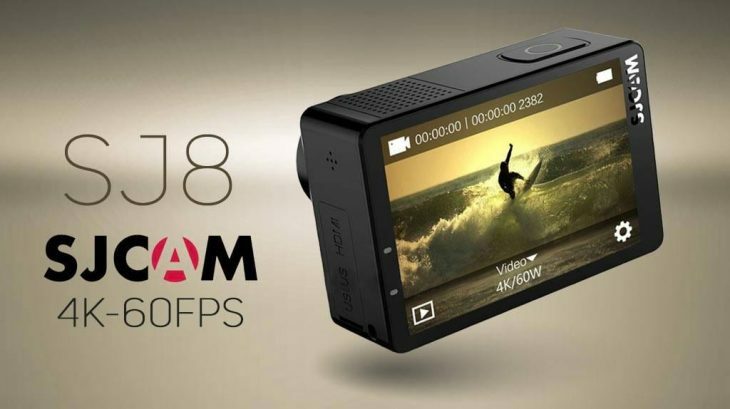 The current flagship range of action cameras comes under the SJ8 title which includes the top of the range SJCAM SJ8 Pro, the entry-level SJ8 Air and the mid-range SJ8 Plus. The Plus receives the same dual-screen design and waterproof IP68 housing as the SJ8 Pro, but with a few hardware changes to keep pricing down. Sony supplies an IMX117 12 megapixel sensor good for 4K video capture, a Novatek chipset means native 4K @ 30fps and a large 1200mAh battery should give you enough energy for a full day of recording. Buy the SJCAM SJ8 Plus Now. 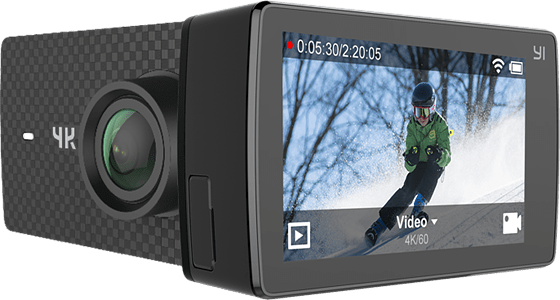 The Yi 4K+ might be the most expensive action camera in our list, but that additional cost gives you a higher 4K frame rate, better quality slow motion, a touchscreen with Gorilla Glass protection and possibly one of the best user interfaces of any action camera on the market. If you’re active on social media, the Yi has another trick up its sleeve as it’s the only camera listed that boasts Facebook Live video support. USB Type C also gives you the opportunity to plug in an external microphone, transfer files at lightning fast speeds and also use AV out to play your videos directly on the big screen. Buy the Yi 4K+ action camera now. 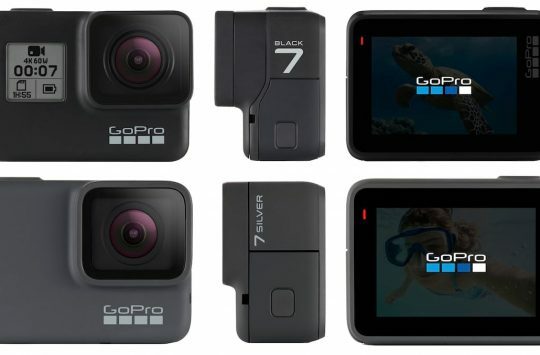 The latest GoPro to launch is also the most affordable GoPro to go on sale with a touchscreen. 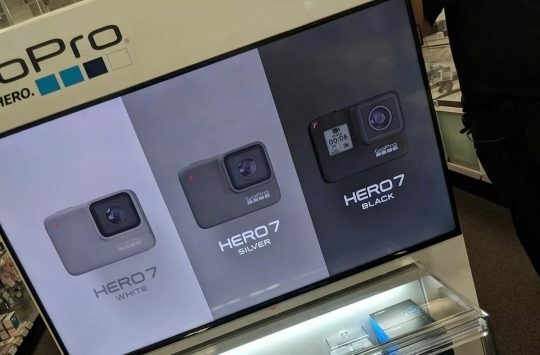 The Hero replaces the Session range of cameras and looks identical to the more expensive Hero 5 model and in fact shares some of the same features. In addition to the rear touchscreen, the Hero also gives the user the option to control video and photo shooting with simple voice commands which is ideal for mountain biking. 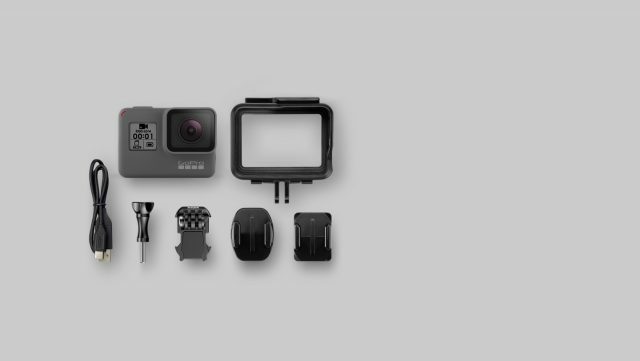 As it shares the same body as the more expensive Hero 5, the Hero is waterproof without the use of an additional case, and you can use all the same accessories too. Hardware specifications include a 10-megapixel camera sensor, 1080p FHD video capture, a 2inh display plus all the usual suspects i.e WIFI, App support, time lapse etc. Buy the GoPro Hero now. 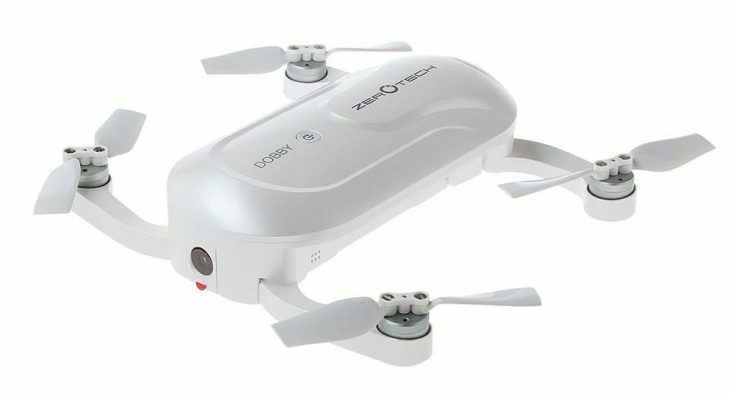 So this is where we throw you a curve ball and introduce the Dobby Selfie Drone from Zerotech. Sure, there are cheaper drones available, but they won’t have the same Qualcomm chipset as most flagship smartphones and they certainly won’t boast object tracking and continual app updates. 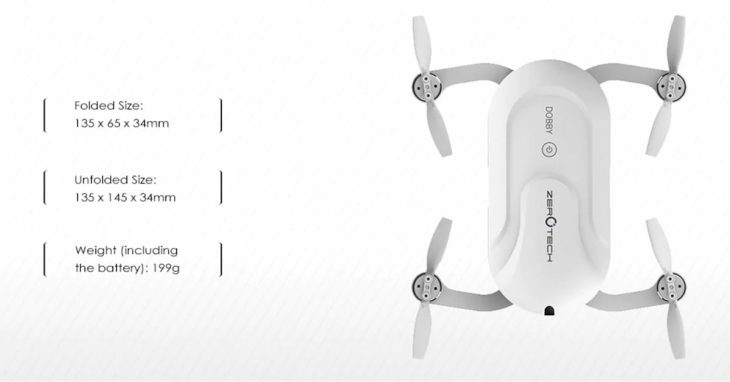 A mini-drone that will fit in your pocket. Amazingly the Dobby costs only slightly more than the entry-level GoPro Hero listed above, and while it might not have an advanced gimbal it does still offer EIS (electronic stabilisation) and 4K video recording. The Dobby Drone comes with a single removable battery good for around 10 minutes of flight time, and each of the folding arms has easy to replace blades. Once packed up the Dobby isn’t much larger than a smartphone.